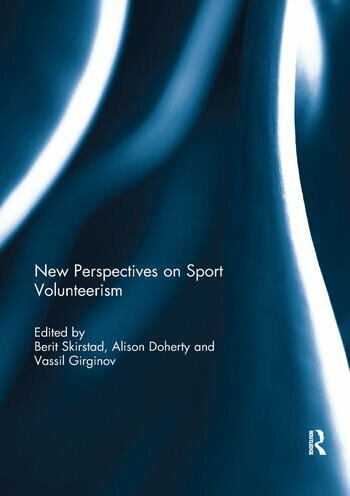 The book highlights ‘new perspectives’ on volunteerism in sport, covering frameworks, methods, context and variables on several levels from community sport clubs to international events. In analysing the processes of control within voluntary sport clubs, a new theoretical framework – critical realism (CR) – challenges how we think about theory and how scientific inquiry should proceed. Further themes raised are: Should sports clubs be viewed as a crossing between a traditional volunteer culture dominated by collective solidarity, and a modern volunteer culture focused on the individual benefits? Are former athletes a new group of possible volunteers? Can personal narratives of experiences of being a volunteer in a big international event provide us with new insight that has not previously been considered? Identity is suggested as a motive for understanding volunteers at sporting events. Two new theoretical models are presented, one on the development of volunteer commitment and the other on a framework that incorporates both individual- and institutional-level variables. All chapters have recommendations for future research. The testing of these theories and influencing factors will provide new directions in the research of sport volunteerism. This book was originally published as a special issue of European Sport Management Quarterly. Berit Skirstad is an Associate Professor at the Norwegian School of Sport Management, Oslo, Norway. Alison Doherty is a Professor of Sport Management in the School of Kinesiology, Western University, Canada. Vassil Girginov is a Reader in Sport Management/Development in the Department of Life Sciences, Brunel University, London, England.